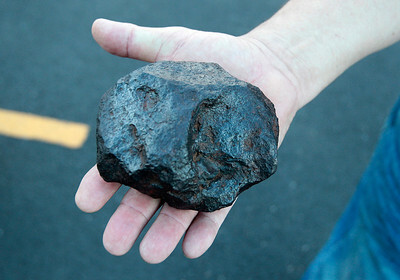 Kyle Grillot - kgrillot@shawmedia.com Gary Poliquin holds a meteorite he owns Tuesday outside the McHenry Public Library. The Lake County Astronomy Society brings their telescopes to various places including the McHenry Public Library for people to stop in and use them. 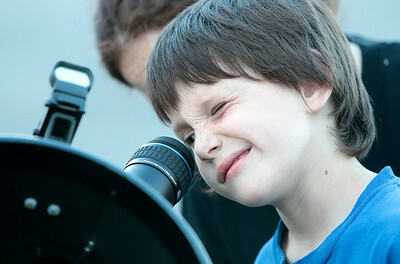 Kyle Grillot - kgrillot@shawmedia.com Tyler Pierce, 6, looks at the moon through a telescope Tuesday outside the McHenry Public Library. The Lake County Astronomy Society brings their telescopes to various places including the McHenry Public Library for people to stop in and use them. 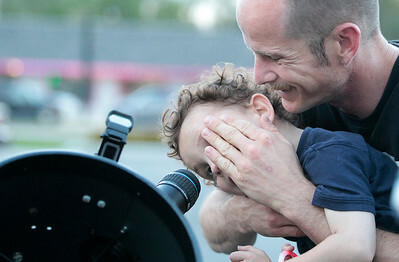 Kyle Grillot - kgrillot@shawmedia.com Mark Racz helps Jacob Pierce, 3, to look at the moon through a telescope Tuesday outside the McHenry Public Library. The Lake County Astronomy Society brings their telescopes to various places including the McHenry Public Library for people to stop in and use them.